If you don't pay your taxes, Canada Revenue Agency will send you letters asking for their money. They won't give up, and if you owe a large amount and don't pay, they have the power to freeze your bank account, garnishee your wages, and put a lien on your house. 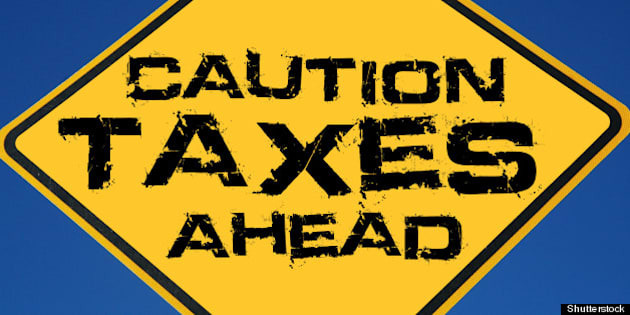 With the April 30 tax filing deadline in Canada fresh in our minds, it's natural to ask ourselves the obvious question: "Taxes cost me a lot of money; what would happen if I didn't pay my taxes?" For many Canadians it's a moot point. If you are an employee, taxes are deducted from every paycheque, so when you file your taxes you've already given your "pound of flesh"; tax filing generates a refund, so all is good. But if you are one of the 2.6 million Canadians who are self-employed, it's a different story. It's likely that you don't remit the taxes owing each week, so at the end of the year when you file your taxes you could have a big tax bill. It's not just the self-employed who owe taxes. If you were one of the 3.2 million Canadians who worked part time last year, and if you worked at more than one job, it's possible that each job, not knowing about your other jobs, didn't withhold enough taxes. If cash was tight last year and you cashed in your RRSP, you may owe taxes. So if you owe taxes, what can you do? If you don't pay, Canada Revenue Agency will send you letters asking for their money. They won't give up, and if you owe a large amount and don't pay they have the power to freeze your bank account, garnishee your wages, and put a lien on your house. Not paying is not a great option. If you can't afford to pay what you owe, your best option will be to contact CRA and work out a payment plan. In most cases if you can pay off your balance owing over the next six to twelve months CRA is generally willing to work with you. You can send them post-dated cheques, or set up payments directly from your bank account, and they won't take any further action. You can have a tax accountant or tax lawyer review your situation to confirm that you know what is owing. If previous tax returns were filed incorrectly and can be amended to reduce the balance owing, payment arrangements may be possible. If you have committed tax fraud by deliberately under-reporting your income, you should consult a tax lawyer. If the assessed amounts are correct and you have no hope of paying, you may need to consider a consumer proposal or personal bankruptcy. At my firm 38% of the proposals and bankruptcies we file involve tax debt, with the average amount owing for taxes just under $20,000. In most cases if you owe taxes you also have credit cards and other debts, so formal proceedings may be necessary. The bottom line is this: Where taxes owing are concerned, doing nothing is generally not an option. The government won't forget; once they know you owe, they want their money.